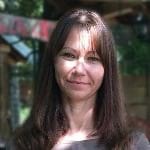 Communications and Social Media Manager, UNITY EARTH, Irina spent over 15 years in fast-paced roles such as Rehabilitation Officer, Corporate Counsellor and Executive Assistant, and has two years of private practice counselling experience with a focus on couples counselling and women suffering abuse trauma. In 2014, Irina hung her designer suits in the back of her wardrobe and replaced them with Yoga Pants! Her passion for yoga became her career. As well as running her own classes, she collaborates with physiotherapists, chiropractors, wellness and fitness centers. Implementing her skills of counseling and business management alongside yoga, she successfully runs yoga retreats for relaxation and rejuvenation of both, body and mind. Irina holds a Yoga Teacher Diploma (HH Dip. Y.T. ), Diploma in Professional Counselling and Cert IV in Training and Assessment.